When faced with a new prescription for an antibiotic it can be helpful to consider the patient, the infection and the drug in turn. • Check the patient’s age. If this is a child, then you’ll need to think about whether the antibiotic prescribed is suitable. Extra care is needed with some agents such as tetracyclines and quinolones for example. • Check the patient’s weight. A dose adjustment may be needed for an adult that is either underweight or overweight. Children’s doses are sometimes based upon their weight. For older or overweight children take care not to exceed the recommended adult dose for patients. • Does the patient have any relevant medical history? Do they have any kidney or liver impairment? Are they pregnant or breastfeeding? An alternative antibiotic, extra monitoring, or dose adjustment may be required. • Does the patient take any other medicines that may interact with the antibiotic? Some combinations may be contraindicated in which case, an alternative antibiotic may be required, or sometimes it’s clinically acceptable to temporarily suspend the other medicine (such as simvastatin with erythromycin or fusidic acid). Maybe the interacting medicine could be swapped to an alternative that doesn’t interact if appropriate. Think about where the patient is if any extra monitoring is required and who will do this. If you need a refresher, visit the Interactions topic. • Does the patient have any confirmed allergies? Take care to distinguish between allergy and intolerance. What is the nature and severity of the allergy? • Check whether the indication for the antibiotic is for treatment of an infection or prophylaxis. • Is the antibiotic being used empirically (‘blind’) or is treatment being guided by sensitivities? Check your local guidelines. If the antibiotic choice seems a little unusual, establish who has recommended this. 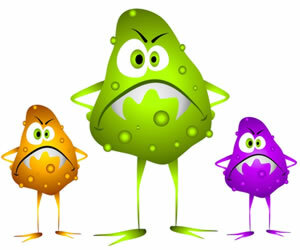 • Check the site and severity of infection. Does the antibiotic reach adequate levels at the site of infection? The severity of the infection will guide the route of the antibiotic. • Are there risk factors for resistance? Has the patient been in a hospital recently or have they been admitted from a care home? Know how to find out whether a particular organism demonstrates antibiotic resistance locally. • Ensure that there is a plan to monitor the patient’s response to treatment. Response may be monitored subjectively - how the patient tells you they feel if they are able - or objectively through lab tests etc. • What is the spectrum of the antibiotic? An obvious point perhaps, but make sure it covers the necessary organism(s). • Are the dose and route of the antibiotic appropriate? • How is the antibiotic administered? Is there an appropriate formulation? If treatment is oral, can the patient swallow tablets or capsules? Maybe a liquid will be required – how does this taste, especially if the patient is a child. If the antibiotic is to be given intravenously, ensure there are clear instructions on how it should be prepared and administered. • What monitoring is required? Is TDM indicated? What are the significant side effects? • When was the antibiotic started? Is there a review date? What is the usual recommended duration of treatment? If the antibiotics are being given IV, there should be a plan to switch to oral treatment.